The Book of Allah is not a book like any other- it is the Speech of Allah, our creator. It deserves careful study, and intense pondering over its meanings. 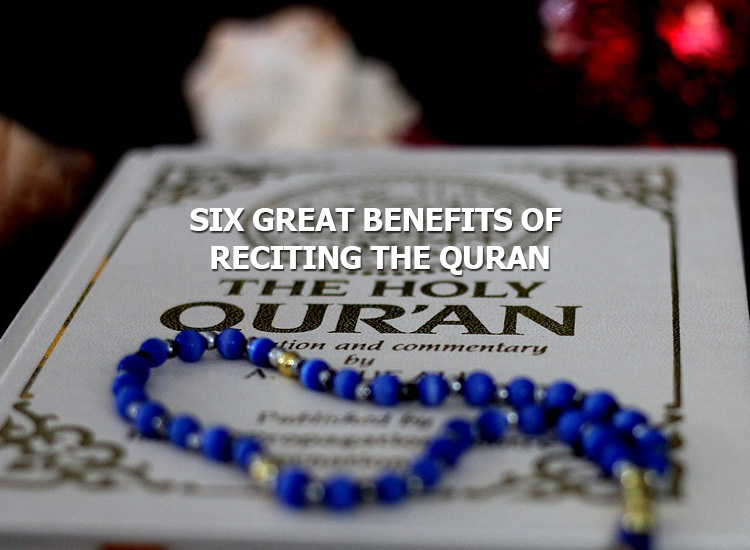 Reciting and pondering over the Book of Allah has tremendous benefits and it would be an unfortunate person who does not avail these benefits in his lifetime. The Prophet (sa) said: “Read the Qur’an, for verily it will come on the Day of Standing as an intercessor for its companions.” [Muslim] On the Day of Reckoning, nothing will be as valuable as intercession allowed by Allah in our favour. Attach yourself to the Quran in this life so that you are saved on the Last Day. Do not look for status and respect elsewhere. Allah’s book is sufficient for you. 3 – You will be ranked amongst the best of the people. 4- You will be given ten rewards for every letter! It is narrated in a Hadith that the Prophet (sa) said, “Whoever reads a letter from the Book of Allah, he will have a reward. And that reward will be multiplied by ten. I am not saying that “Alif, Laam, Meem” is a letter, rather I am saying that “Alif” is a letter, “laam” is a letter and “meem” is a letter.” With such immense rewards attached to each letter, one should make the Quran his/her priority in the quest for Jannah. 5- You will be in the company of the noble and obedient angels. Ma sha Allah, may Allah’s rewards be with you for the wonderful reminder.